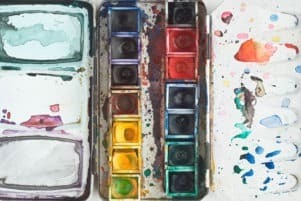 There are many different options available when it comes to choosing which type of paint to use for your artwork, and oil paint remains among of the most popular of those choices. Oil paint is a mixture of binder, pigments, and thinner. The binder, or oil, works as a carrier to hold and apply the pigments and the thinner makes the paint easier to apply to the surface. Generally speaking, oil paint has been around for a very, very long time. Historians can trace the earliest of artwork created using oil paints to 13th century England! The initial works were done on wood with later works being created on canvas, all being used for décor purposes. By the 15th century oil paint became the primary medium to use as it became quite popular and by this time, layers and glazes were introduced. Oil paint creates luminous, rich colors that stand out particularly more than other paints may. Since oil paints contain more pigment, they create a more vibrant piece of artwork. Other paints are more translucent, and while that create a beautiful painting, the liveliness of oil paints is unrivaled. Some artists find the slow drying time of oil paints to be a disadvantage, but it really can be an advantage for most. Because of such a slow drying time a piece of art can be retouched and worked on long after the initial stroke has been applied. Artists can work efficiently on a painting without worrying that the paint will dry up fast. A slower drying team leaves room to correct errors. Simply scrape the error off and start over again. The ability to make corrections and still have a beautiful piece is a benefit that most paints do not have. Of course if you want to speed up drying time, you can do that as well – check out our handy guide. When it comes to blending with oil paints the ability to do so is easy. 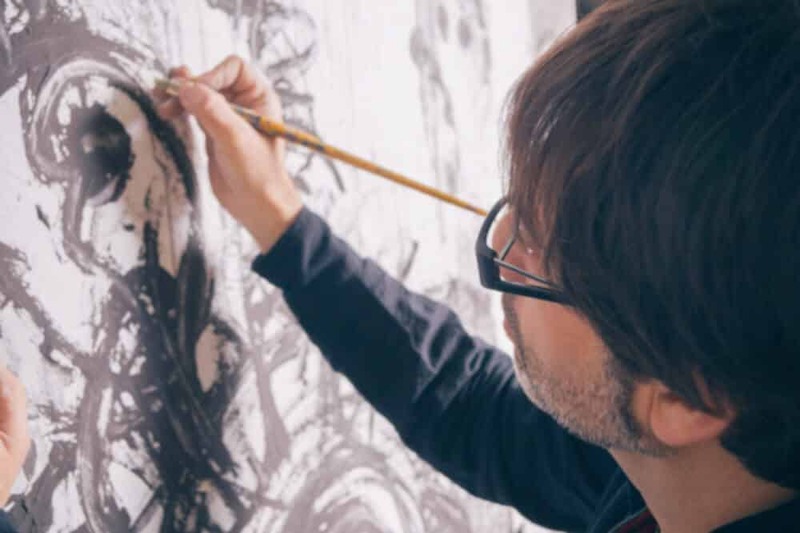 An artist can seamlessly produce beautiful brush strokes and blending techniques with oil paint. This is not something that is possible with water colors or acrylics due to their faster drying times. When using a medium with oil paint you have the ability to mix the medium and the paint right on your pallet. 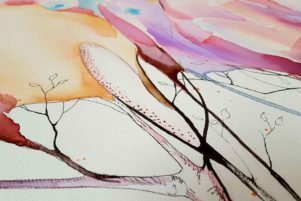 Using a medium provides an artist with reaching the color, texture, and drying time that they wish to achieve. Unlike other paint types, the ability to alter the paint to the way the artist wishes is an extraordinary benefit of oil paint. You don’t have to frame your oil painting work! Whereas with other types of paint you’ll need to put a glass piece over the painting, a canvas made for oil painting can go directly onto the wall. What makes painting so special? When you are creating a piece of art you are using your own thoughts to portray your idea. Being able to find a release through the world of painting is important for those struggling with stress. Focusing on the work at hand allows the mind to let go of other stressors thus relaxing the artist as a whole. Seeing what you can create as an artist in your own right can build your self-esteem immediately. Stepping back and taking a look at your final product and thinking “wow, I did that” can be monumental to one’s confidence. By enhancing self-esteem it makes an artist eager to reach a new artistic goal. By keeping your brain active with painting you are helping yourself as you get older. Painting is done in various hospital settings for people who have memory problems and it is known to be a very positive experience for the patient. Imagine a weight-lifter who builds is muscles; by painting you are building your brain activity. 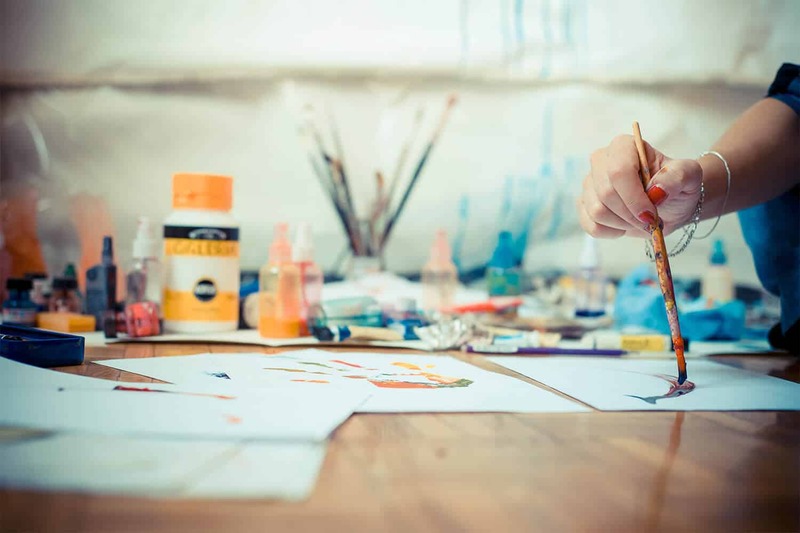 Art therapy, like painting, is useful in patients who have Alzheimer’s, Dementia, learning disabilities and even those who have sustained a brain injury. The use of painting allows the patient in the art therapy setting to use their mind to express their emotions and provides a creative outlet in doing so. 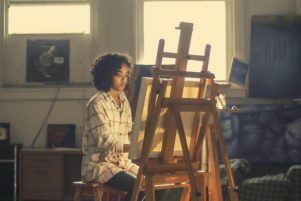 Instead of having to talk to a therapist, the use of a canvas and a paintbrush can allow a patient to portray their feelings that are challenging for them put into words. Artists must figure out ways to fix their mistakes, take using oil paint for example. If the person painting doesn’t like a brush stroke they’ve applied they need to figure out a way to either blend, wipe, or scrape it off of the canvas. When using a paint that is not as pliable the artist will have to work with their error by either covering it up or going another route with their initial idea they had. Another great way for problem solving will be trying to figure out how to completely clean your brushes for the very first time :-)! Painting promotes a person’s use of creative thinking due to the fact that there really is no right or wrong in the art that you can create. You are able to use your own creativity to come up with an end result that you form in your mind. Being innovative is something artists strive to acquire and creative thinking is how the artist gets there. When you are deep into a piece of artwork you have to focus specifically on your task at hand. Concentrating on the details of your art helps your mind build focus in different aspects of life such as school and work. The benefits of painting are immense. You will build your brain by also doing something you enjoy. What better of a reward can one ask for than to contribute to their mental health while also immersing themselves in something they love to do?